Lamborghini car tuning tips and advice. 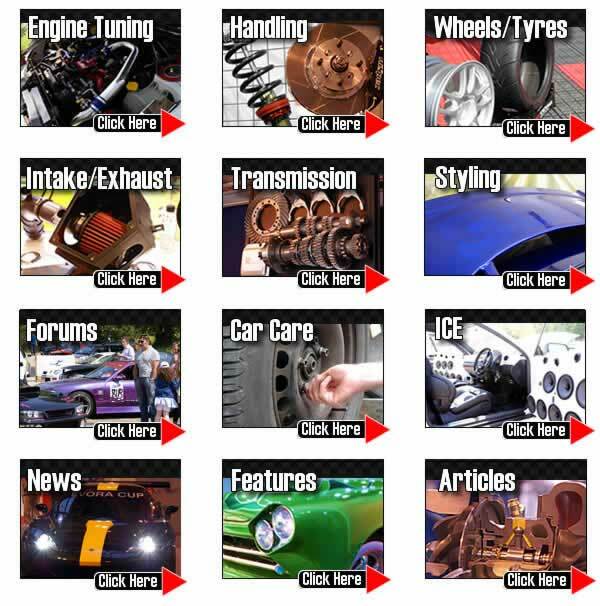 We have a wide range of tuning articles covering all models of Lamborghini from from classic sports cars to large F1 derived supercars and executive cars. Following our tuning tips you will avoid many of the common mistakes and actually achieve the car setup you desire without ruining that essential Lamborghini essence in your car. Please join our forums for model specific questions and answers and to meet other owners and see what modifications they have done. TorqueCars started providing Lamborghini upgrade advice reviews, car modification and car track day set up suggestions and tips back in 2003 and have grown from strength to strength with a fastgrowing membership of all types of cars including many,Lamborghini owners. We are currently oneof the fastest growing car tuning clubs around and certainly one of the friendliest. In 2007 we also organised our first full car show. Our Lamborghini tuning articles and styling tips and features are constantly being updated and refined so to keep upto date with what is hot in the tuning wold and for the most recent Lamborghini engine upgrade advice, general performance modification and track day setup advice,tips and pointers please check back regularly and browse our many articles. We strongly recommend that you join our Lamborghini forums andswap upgrade advice ideas with like minded Lamborghini owners in the upgrade advice forums. If you are have a Lamborghini tuning project under way we would love to hear about it, the Gallery section in the forum contains some interesting Lamborghini projects already. Scroll down the page to see our latest tuning articles for your Lamborghini. We look at converting a front wheel drive car to rear wheel drive. Problems and shortcuts and suggestions for a FWD to RWD conversion project guide. For this reason, most high power cars and motorsport cars have a rear wheel drive setup. Even front engined street cars are converted with a mid mounted engine and rear wheel drive. Cars are more fun to drive when the power is to the back wheels. It makes for lots of oversteer rather than the safer and more predictable understeer manufacturers build into FWD cars. So what exactly is engine knock and how dangerous is it? What causes engine knock and how can it be avoided? You may notice a knocking or rattling noise from your engine or a sudden loss of power under full throttle. Immediately back off the throttle and only use low rpm engine speeds until you can get the engine investigated. The chances are that you are suffering from a condition known as “engine knock”. One popular modification done to cars is replacing the wheels. We will look at the types of wheel available, the pros and cons of each and look at the implications of fitting different size wheels. We will be challenging the concept of wider wheels giving more grip and looking at the effect a larger rim size has on a cars performance.